This top-level edition is packed with all Vodia features. 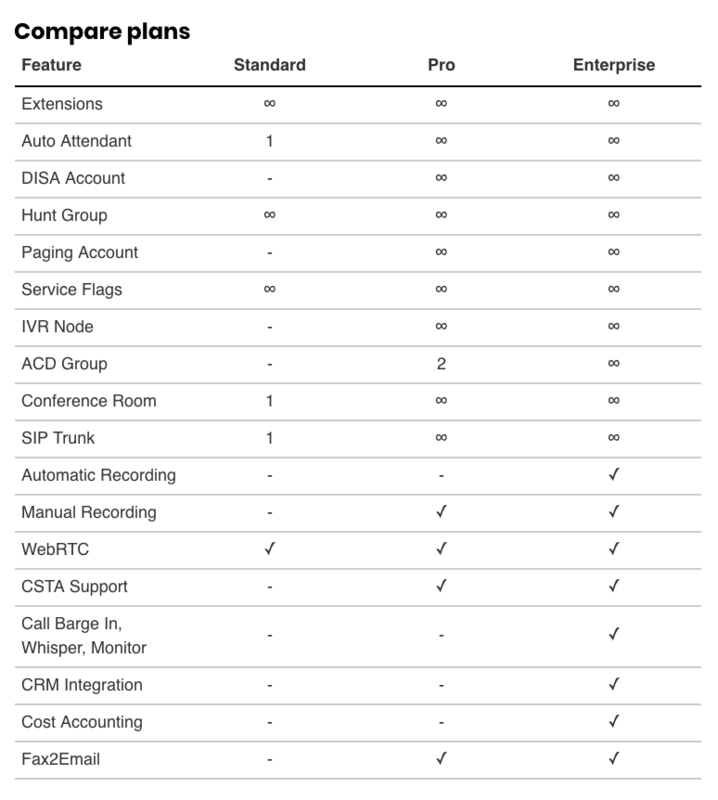 It includes everything from the Pro edition, plus – unlimited ACD groups, auto call recording, call barge in/teach mode, CRM integration, and cost accounting support. This Vodia PBX is an annual subscription. Subscriptions are a convenient way to license the PBX without the upfront investment.